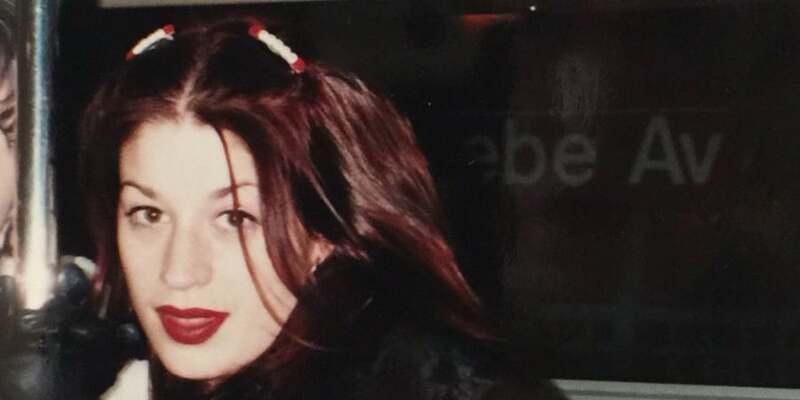 The late Jennifer Syme was a budding production assistant in Hollywood. She also had a thriving career as an actress and had hoped to go places in the movie industry. These lofty aspirations were, however, cut short when she died in 2001 at the young age of 28. So what caused her death? What about her romantic relationship with the actor, Keanu Reeves? Details of this and more will be found below. Jennifer Maria Syme was born on the 7th of December 1972. She grew up in the town of Pico Rivera, Los Angeles. She was the daughter of Charles Steves Syme, a cop and his wife, Maria St John. Her father had German, Scottish, Irish and English ancestry while her mother was Hispanic. Syme grew up with her mom after her parents divorced. While growing up, Jennifer Syme fell in love with various aspects of showbiz such as movies and music. She aspired to make a career in that direction and when she was 16, applied for an internship as a production assistant. She was subsequently hired by filmmaker, David Keith Lynch. Landing this gig was a major coup for Jennifer Syme as Lynch was a highly accomplished filmmaker. During her time working for Lynch, Syme served as a production assistant on his 1997 film, Lost Highway. She made a lot of useful contributions to the films’ soundtrack and was even given a minor role in the movie. By the end of her employment with Lynch, both of them became good friends. Jennifer subsequently found employment at a record label. After that, she was hired as a personal assistant to rock artist Dave Navarro. Keanu Reeves is, without doubt, one of the most popular actors that Hollywood has ever seen. He has appeared in several blockbuster movies including Point Break, Speed, The Matrix, My Own Private Idaho, John Wick, The Devil’s Advocate, Constantine, etc. 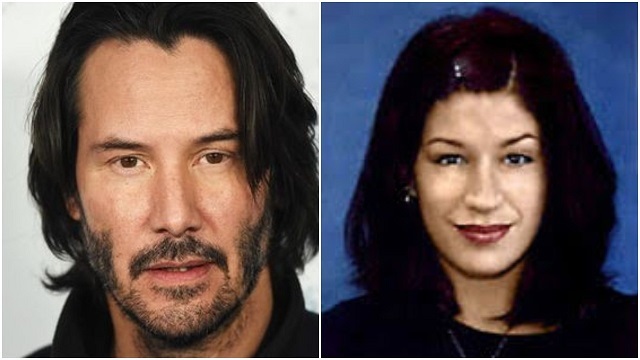 Jennifer Syme first met Keanu Reeves at a party in 1998. They were immediately taken with each other and later commenced a relationship. The couple never tied the knot nor did they live together; however, Reeves bought a house for Syme in order to shield her from the media. Syme got pregnant a year into the relationship and the couple was overjoyed, eagerly awaiting the birth of their newborn. Their joy, however, turned sour when they discovered that the baby was already dead in the womb, in the eighth month of pregnancy. Syme delivered the stillborn baby in December 1999. She was posthumously named Ava Syme Reeves and buried at a cemetery in Westwood Village. Following the death of their baby, the couple couldn’t withstand the devastating loss and grief. They thereafter broke up and went their separate ways. Jennifer Syme forged ahead with her life and enrolled in a college class on film supervision. However, she still suffered from bouts of postpartum depression which was further complicated by the death of her maternal grandpa Alfonso in March 2001. Jennifer Syme passed away on the 2nd day of April 2001. Her death was as a result of a tragic car accident. On the 1st day of April, Syme had attended a party at the house of a popular rock musician, Marilyn Manson. She got a ride back to her home after the party. However, she decided to head back to the venue of the party at dawn and this time, took her own car. She never made it to her destination as her jeep was involved in an accident. She side-swept a row of parked vehicles and was partially thrown from her vehicle. Sadly, she died on the spot. She was 28 years old at the time. Police investigation revealed that she had not used her seatbelt and that she was intoxicated. The police also found drug prescription in her car but her mom explained that she was taking them for some health issues. Syme’s death was a painful loss to her family, friends, colleagues, and Reeves as well. Even though they were no longer together at the time of her death, they were still friends and he was still pained by the loss. He has since revealed that he misses all the great things that could have been if both mother and daughter were still alive. It has been suggested that their deaths are the reason while the actor shies away from the prospects of starting a family. Jennifer Syme was buried beside her daughter Ava. Her employer-turned-friend, David Lynch also paid tribute to her by dedicating his highly-acclaimed 2001 film (Mulholland Drive) to her.